With decades of experience supporting fluid power, flow control, instrumentation and control system needs, Process Control Solutions is pleased to present this blog as a means to share information about interesting control applications, innovative new products, and fundamental process control concepts. 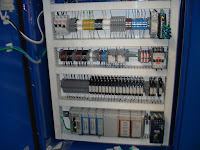 For more information, visit ProcessControlSolutions.com or call (800) 462-5769. Process Controls Solutions is a value-added distributor and application specialist of process equipment and control products. Additionally, we provide systems integration services and specialize in the design, build, and startup of process and industrial control systems. With decades of experience supporting fluid power, flow control, instrumentation and control system needs, we have accumulated the knowledge to provide innovative solutions for virtually any process application requirement. This Emerson/EIM electric valve actuator is the next generation of the non-intrusive TEC2000 actuator. Robust and compact design that are widely used on valves for marine, oil and gas, chemical, power, and water and wastewater applications. Superior corrosion protection polyester powder-coating, inside and out, for all environments, 316 stainless steel cover screws, marine-grade, low copper content, aluminum provides compartment and covers with extra corrosion protection. Separately Sealed Terminal Chamber (STC), dual sealed, allows installation wiring to be performed without exposing electronic control components. Anti-condensation space heater thermostat prevents internal condensation due to temperature cycling with solid-state thermo-statically controlled to turn heater off. Large LCD message screen uses icons and text to display status of valve and provide diagnostic data, easy to guide operator through multi-language capable, calibration, setup, and diagnostics. Non-penetrating control knobs operate with vibration resistant Hall-effect switches enabling actuator calibration and diagnostics without opening covers. Double-reduction motor gears provide flexibility, enables worm gearing to operate at lower speeds for minimum wear and long life. Self-locking gearing even during declutching and manual override and valve stem cannot be back-driven under high process pressures or heavy weight of gate. call your local process equipment Sales Engineer. 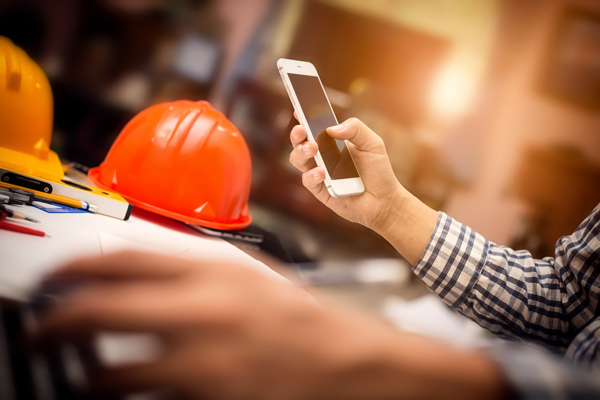 Whether you're a project engineer, maintenance manager, specifying engineer, or purchasing agent, you may be working with a piece of process equipment of which you have little first-hand experience. Past exposure or training may provide an overall understanding, but you're missing the detail. It's impossible for one person to know it all. Safety, cost, and quality are tied to questions ranging from optimal valve selection for a given application, to proper heat exchanger sizing, to the limitations of certain kinds of pressure transmitters. For this reason, it's important to remember one of your best assets - the Technical Sales Rep. Specialized Sales Engineers, by the nature of their job, have product knowledge that is both broad and deep. They've applied every type of valve, actuator, instrument, and pneumatic device known. They've dealt with many other process plants who have similar needs.They are also current on new products, their capabilities and their proper application. Unlike information available on the Web, Sales Engineers can get advanced notice of product obsolescence and replacement options, new technologies coming to the market, and more. Also, because they are exposed to so many different types of applications and situations, sales engineers are a wealth of tacit knowledge that they readily share with their customers. Through a technical Sales Engineer, you may be able to look “behind the scenes” with a particular manufacturer and garner important information not publicly available. Sales reps deal with people, making connections between customers and manufacturer's support personnel that may not normally be public facing. They make it their business to know what’s going on with products, companies, and industries. Of course, Sales Engineers will be biased. Any solutions proposed are likely to be based upon the products sold by the representative. But the best sales people will share the virtues of their products openly and honestly, and tell you when they do not have the right product for your application. This is where the discussion, consideration and evaluation of several solutions becomes part of achieving the best project outcome. As a stakeholder in your process operations, it's highly recommended you develop a professional, mutually beneficial relationship with a process equipment specialist. Look at a relationship with the local Sales Engineer as symbiotic. Their success, and your success, go hand-in-hand. 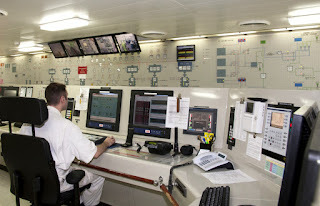 Control systems are computer-based systems that are used by many infrastructures and industries to monitor and control sensitive processes and physical functions. Typically, control systems collect sensor measurements and operational data from the field, process and display this information, and relay control commands to local or remote equipment. In the electric power industry they can manage and control the transmission and delivery of electric power, for example, by opening and closing circuit breakers and setting thresholds for preventive shutdowns. Employing integrated control systems, the oil and gas industry can control the refining operations on a plant site as well as remotely monitor the pressure and flow of gas pipelines and control the flow and pathways of gas transmission. In water utilities, they can remotely monitor well levels and control the wells’ pumps; monitor flows, tank levels, or pressure in storage tanks; monitor water quality characteristics, such as pH, turbidity, and chlorine residual; and control the addition of chemicals. Control system functions vary from simple to complex; they can be used to simply monitor processes—for example, the environmental conditions in a small office building—or manage most activities in a municipal water system or even a nuclear power plant. In certain industries such as chemical and power generation, safety systems are typically implemented to mitigate a disastrous event if control and other systems fail. In addition, to guard against both physical attack and system failure, organizations may establish back-up control centers that include uninterruptible power supplies and backup generators. There are two primary types of control systems. Distributed Control Systems (DCS) typically are used within a single processing or generating plant or over a small geographic area. Supervisory Control and Data Acquisition (SCADA) systems typically are used for large, geographically dispersed distribution operations. A utility company may use a DCS to generate power and a SCADA system to distribute it. A control system typically consists of a “master” or central supervisory control and monitoring station consisting of one or more human-machine interfaces where an operator can view status information about the remote sites and issue commands directly to the system. Typically, this station is located at a main site along with application servers and an engineering workstation that is used to configure and troubleshoot the other control system components. The supervisory control and monitoring station is typically connected to local controller stations through a hard- wired network or to remote controller stations through a communications network—which could be the Internet, a public switched telephone network, or a cable or wireless (e.g. radio, microwave, or Wi-Fi4) network. Each controller station has a Remote Terminal Unit (RTU), a Programmable Logic Controller (PLC), DCS controller, or other controller that communicates with the supervisory control and monitoring station. The controller stations also include sensors and control equipment that connect directly with the working components of the infrastructure—for example, pipelines, water towers, and power lines. The sensor takes readings from the infrastructure equipment—such as water or pressure levels, electrical voltage or current—and sends a message to the controller. 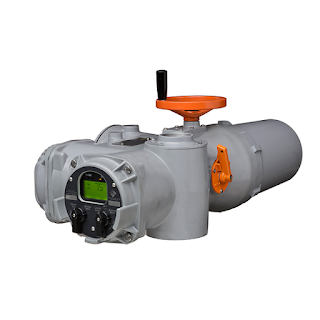 The controller may be programmed to determine a course of action and send a message to the control equipment instructing it what to do—for example, to turn off a valve or dispense a chemical. If the controller is not programmed to determine a course of action, the controller communicates with the supervisory control and monitoring station before sending a command back to the control equipment. 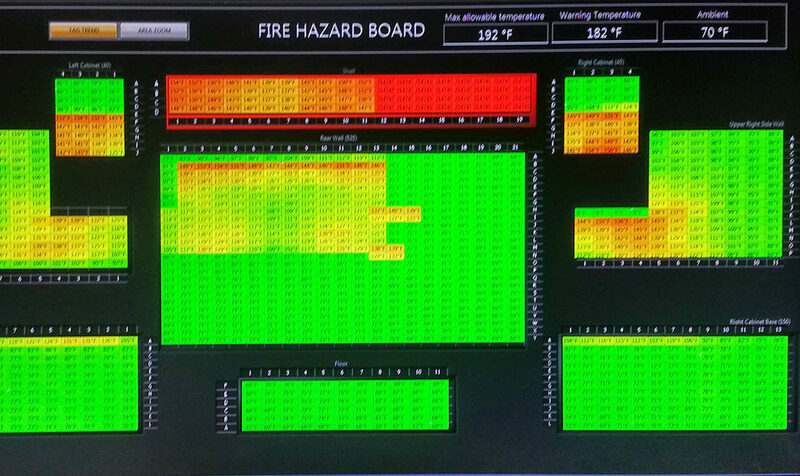 The control system also can be programmed to issue alarms back to the operator when certain conditions are detected. Handheld devices, such as personal digital assistants, can be used to locally monitor controller stations. Experts report that technologies in controller stations are becoming more intelligent and automated and communicate with the supervisory central monitoring and control station less frequently, requiring less human intervention. For more information about industrial control systems, visit https://controlsystems.processcontrolsolutions.com of call (800) 462-5769. Process Control Solutions is an essential industrial service company with decades of experience solving issues in the entire flow path. We offer comprehensive flow solutions from on-site and off-site repair, to maintenance and installation, to product sales and application support. Our field service experts, with stocked vehicles, are available 24/7 throughout Missouri and Central and Southern Illinois. We are trained to solve the most difficult issues when and where they happen. Whatever the time, location, or complexity of a project, PCS has the field service know-how and equipment to do the job safely, effectively, and on schedule. 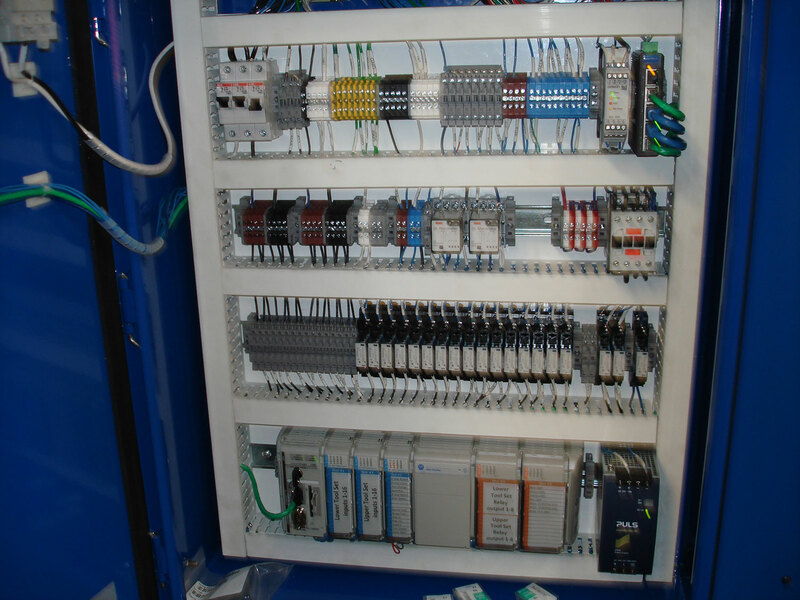 Process Control Solutions' Control Systems group offers turn-key process automation and systems integration services backed by years of experience in the design and implementation of control systems. Our capabilities include design, specification, fabrication, configuration, programming and start-up of your project. We support a wide range of process applications and requirements including SCADA, PLC & HMI programming, industrial control panels fabrication, product testing and virtually any other custom process automation application. PCS is UL 508 certified and a Wonderware Certified Integrator. 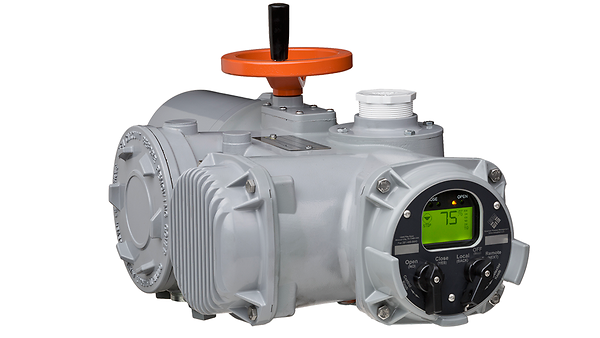 For more information, visit https://controlsystems.processcontrolsolutions.com. ​The Numatics 503 Valve series provides higher flow and higher reliability in one versatile valve platform. The 503 Series is available in dual 3-Way and 4-Way solenoid air pilot actuated valves. They are available with manifold or individual base mountings, proprietary or ISO 15407. 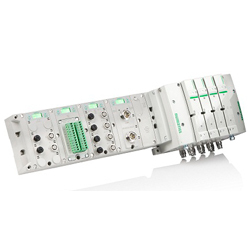 Numatics 503 series valves are compatible with the Numatics G3 Fieldbus Electronics Platform. EIM electric actuators are well known for their innovation, quality and ability to withstand for harsh industrial applications. EIM actuators are found throughout the processing industries - oil and gas, power, refining, chemical, petrochemical, water/wastewater and mining. EIM actuators and controls have a proven track record for reliable performance in critical shutdown applications as well. For more about EIM Actuators visit Process Control Solutions website here, or call (800) 462-5769. Watch the video below for a general overview of EIM actuators. Provides turn-key process automation and systems integration services backed by years of experience in the design and implementation of control systems. Our capabilities include design, specification, fabrication, configuration, programming and start-up of your project. More. Process Control Solutions is your source for fluid power equipment and control products. It is our mission to provide innovative and unique products and services to the fluid power and process industry. More. Process Control Solutions is your source for valves, valve actuation, pressure relief devices and other related accessories as well as services required by the diverse process industry. These market segments include, refining, chemical, food & beverage, agriculture processing, ethanol, steel, pipeline, power, paper, water, waste water and mining. More.